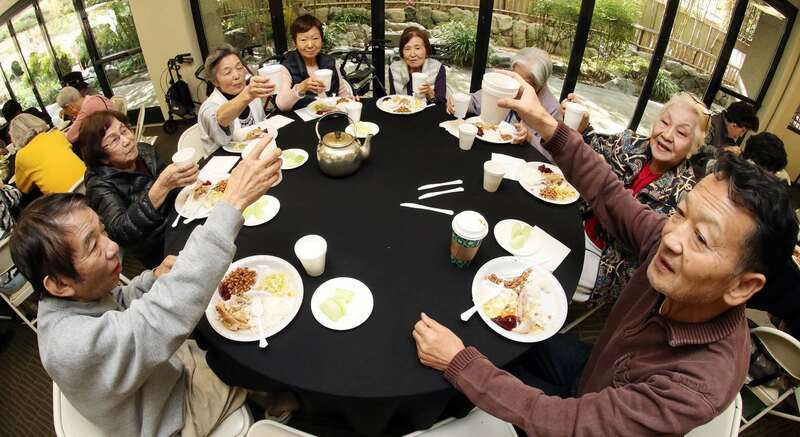 Seniors from Tokyo Towers feast on turkey in the Garden Room of the Japanese American Cultural and Community Center on Wednesday. Twelve turkeys were donated by Councilmember Jose Huizar and prepared by Don Tahara of Sake Dojo Restaurant. 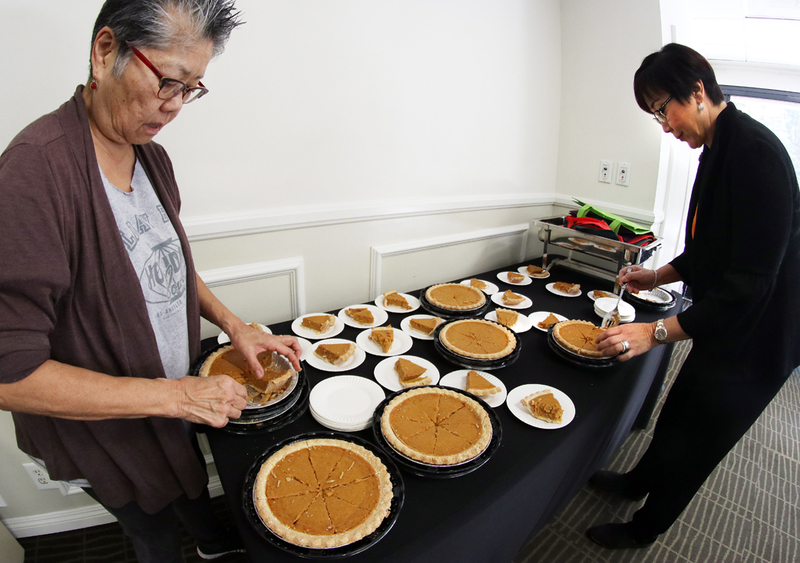 The annual Thanksgiving turkey luncheon is organized by Little Tokyo Senior Nutrition Lunch Services (Koreisha Chushoku Kai). 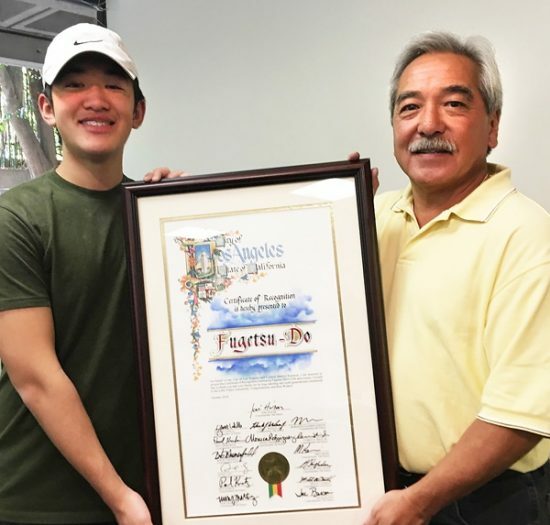 Left: Brian and Korey Kito of Fugetsu-Do were presented a proclamation honoring the confectionery’s 115th anniversary by Edna Degollado, field deputy for Councilmember Huizar. “We cannot thank Don, Edna and all the volunteers enough for all their efforts in getting this event done for the seniors,” said Brian.